This week on ROH TV, ROH World Champion Dalton Castle teams with Jay Lethal to battle Punishment Martinez and Marty Scurll. The Briscoe Brothers square off against Best Friends. Also, Adam Page competes in singles action against Christopher Daniels. Opening Contest: The Briscoe Brothers (Jay & Mark) vs. Best Friends (Trent & Chuck Taylor): Briscoe Brothers knock the Best Friends off the apron during their entrance to get the cheap advantage. Taylor is double teamed in the ring as Mark and Taylor legally start the match. Taylor fights back with strikes and Trent gets tagged in. They nail Mark with several running forearms in the corner and they hug. Jay boots Taylor to the floor and Trent continues to work over Mark. Jay clotheslines Trent to help his brother get control. Mark dropkicks Taylor from the apron and takes Trent over with a suplex on the floor. We go to commercial. Mark has kept control of Trent on the mat with a sleeper hold and rams Trent back first into the corner. Trent hits a tornado DDT out of the corner and they are both down. Taylor and Jay get tagged in with Taylor hammering away on Jay. Taylor plants Jay with a powerbomb to counter a hurricanrana for a two count. Jay stops Taylor with a quick dropkick and Mark tags back in. Taylor avoids Jay in the corner and Trent comes in to hit a kick/overhead suplex on Mark. Trent takes the Briscoes out with a somersault dive to the floor. Best Friends hit the lawn dart cutter on Mark for a two count. Taylor knee strikes Mark and goes to the top but Jay shoves Taylor off. Mark tosses Trent with an overhead suplex. Mark clotheslines Trent and tags in Jay. Trent counters a neckbreaker attempt and nearly pins Jay. Jay attempts a Jay Driller but has to settle for a clothesline. Mark goes to the top as Jay hits the Jay Driller and Mark hits a top rope elbow drop for the win. (**1/2. It’s a fine match but they are really pushing the Briscoes with this attitude change as they didn’t have much of a problem with Best Friends. If I had to guess, they are going to win the titles.) After the match, Alex Shelley and Chris Sabin attack the Briscoe Brothers with the tag titles and chains. Sabin spikes Jay with a Sabin Driller and they get a mixed reaction. We get a video highlighting Kenny King regaining the ROH Television Championship from Silas Young last week. To show how much they really don’t care about the Women of Honor, they show clips of some tournament matches. If they don’t care, why should I? The matches can be seen on Honor Club. Bully Ray comes out and credits the Bullet Club for not having people at ringside. However, SoCal Uncensored didn’t listen to his rules. Ray threatens the group that Daniels will lose by DQ and be suspended for 30-days if they don’t leave. Scorpio Sky and Kazarian leave. Second Contest: Christopher Daniels vs. ROH Six Man Tag Team Champion Adam Page: Page quickly goes after Daniels in the corner with strikes and stomps. Daniels fights back with several strikes in the corner but Page comes charging out with a clothesline. Page misses a baseball slide and decks Daniels with a right hand before sending Daniels into the guard railing a few times. Page rolls Daniels back into the ring and tosses a chair into the ring. Page has a sleeper hold on Daniels while he’s on the apron. Daniels yanks Page’s arm over the top rope and keeps control as we go to commercial. Daniels has kept a sleeper hold on Page but Page is able to fight out only to be met with a sit out slam by Daniels. Daniels chops the back of Adam’s head to maintain control of the match. They begin to trade forearm strikes until Page delivers a discus forearm to drop Daniels. Page delivers a few running elbow strikes in the corner. Page powerbombs Daniels and superkicks Daniels to the floor. Page comes off the apron with a shooting star press to take Daniels out on the floor. Page plays to the crowd and looks for a slingshot lariat, but Daniels counters with a couple of rollups for a two count. Daniels tosses Page down to the mat and misses the Best Moonsault Ever. Page nails Daniels with a slingshot somersault lariat for the win. (**. This didn’t feel like it got out of the first gear, but it was a fine win for Page. Page holds my interest on offense and I think he should be getting a bigger role in ROH this year.) After the match, Shane Taylor attacks Page to leave him laying. Daniels gets in Adam’s face screaming that Bullet Club is dead. Daniels says Taylor is the best money he’s ever spent. Christopher Daniels and Shane Taylor walk up the steps and Bully Ray is there to confront Daniels. Daniels thinks he’s fine because Ray never said anything about Taylor. Ray and Taylor bump into each other and have a stare down. Is that to tease a feud between the two? Main Event: ROH World Champion Dalton Castle & Jay Lethal vs. Punishment Martinez & Marty Scurll: Castle and Martinez start the main event in a rematch from a few weeks ago. Well, Martinez would rather fight Lethal and Castle tags out. Martinez comes off the ropes with a shoulder block and soon attempts a chokeslam, but Lethal gets out of the hold. Lethal chops Martinez several times and avoids kicks. Martinez kicks Lethal to the mat and they have a standoff. Scurll wants to get tagged in and the fans want that too. Scurll does get tagged in. The fans are heavily behind Scurll and now Castle wants to tag in. Scurll takes Castle down and they trade a few holds until Scurll plays to the crowd. Castle works over Scurll with several chops and strikes in the corner followed by a suplex. Lethal tags in and keeps control of Scurll with stomps. Lethal drops Scurll with an elbow strike for a two count. Castle tags back in as Lethal takes Marty over with a snap suplex. Castle also takes Scurll over with a snap suplex. Lethal tags back in and delivers another snap suplex. Lethal and Castle appear to be one upping each other at this point. Scurll yanks Lethal down by his arm and goes to the apron where he delivers a kick to drop Lethal on the floor. We go to commercial. Martinez is now in the ring controlling Lethal with a chinlock but Lethal breaks free. Martinez attempts the Psycho Driver, but Lethal breaks free and Castle tags in. Marty is also tagged in but Castle clotheslines both men. Castle tosses Marty with a couple of throws. Castle kicks Martinez into the corner and plays to the crowd. Castle knee strikes Martinez several times in the corner. Castle takes Scurll over with a German suplex for a two count. Lethal tags back in and goes to the top rope. Lethal accidentally kicks Castle in the corner. Marty drops Lethal over his knee neck first and signals for the chicken wing submission. Martinez instead tags in and hits the Psycho Driver followed by a curb stomp, but Lethal kicks out at two. Scurll tags in to prevent Martinez from hitting a chokeslam. All four men are in the ring brawling at this point. Scurll decks Castle with a forearm but Lethal hits the Lethal Combination on Scurll. Lethal has Martinez on his shoulders, but Martinez delivers a kick. Martinez nails Lethal with a discus clothesline. Castle catches Martinez in the corner with a German suplex. Castle runs into an elbow strike and Scurll hits a snap suplex into the corner. Martinez splashes Castle in the corner. Lethal takes Scurll out with a suicide dive on the floor. Martinez tosses one of the Boys. Lethal gets caught in midair as Martinez tries a chokeslam but Lethal kicks free. Scurll throws powder but hits Martinez on accident. Castle and Martinez go over the top as Lethal hits the Lethal Injection to pin Scurll. (***. A fine main event and they did the usual stuff to add tension to the two feuds for the PPV. Nothing earth shattering but it was solid enough to close the show.) After the match, Lethal confronts Castle and makes it known he’s coming for the title. The show ends with various promos for 16th Anniversary Show. It’s the same promos that have been aired over the past several weeks. There wasn’t much going on this week as we head into the Anniversary Show on pay per view. I’m not sure if I’m overly interested in anything on the PPV, but I’m certain there will be quality matches. This would be a skippable show as it pertains to hype for the PPV, I’d say. 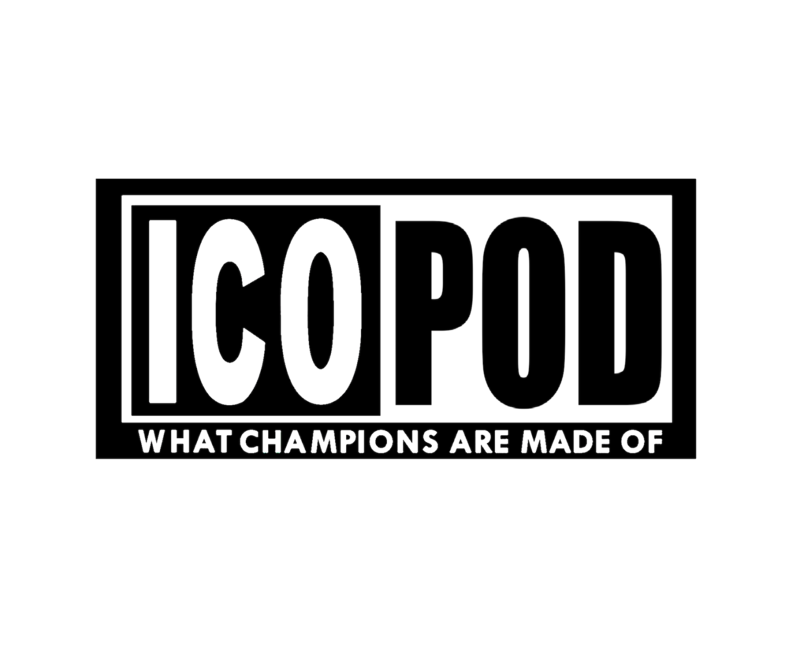 ← ICOPOD Episode Four: WWF RAW 2/1/1993 – Beefcake’s Back!